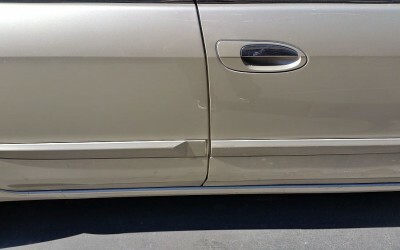 Car touch up comes in especially handy for those who have a hard time adjusting to their extremely small parking garages. 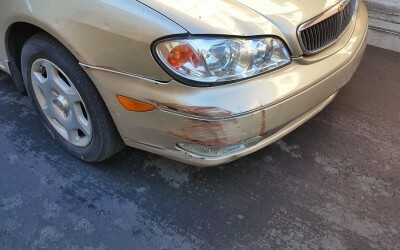 No matter how this person approached their garage the war was never won. 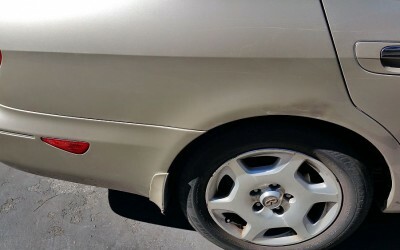 🙁 Over $3000 in work at the body shop made much easier on the eyes (and the pocket) by our mobile car touch up services. 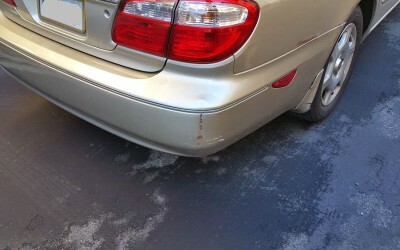 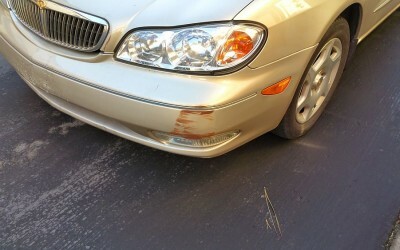 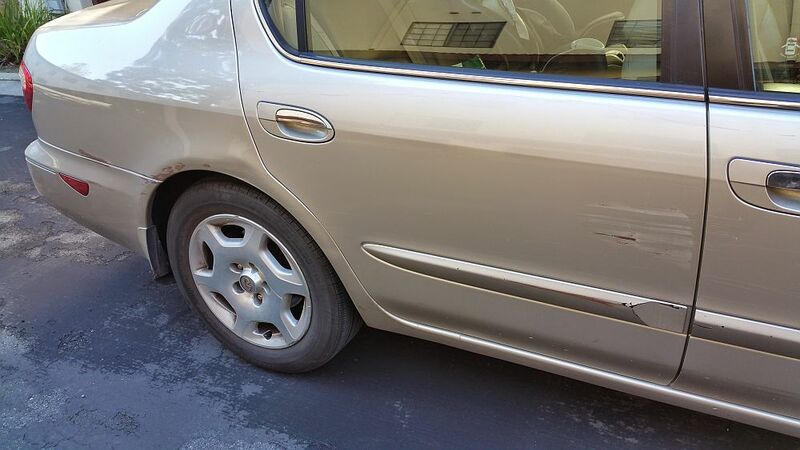 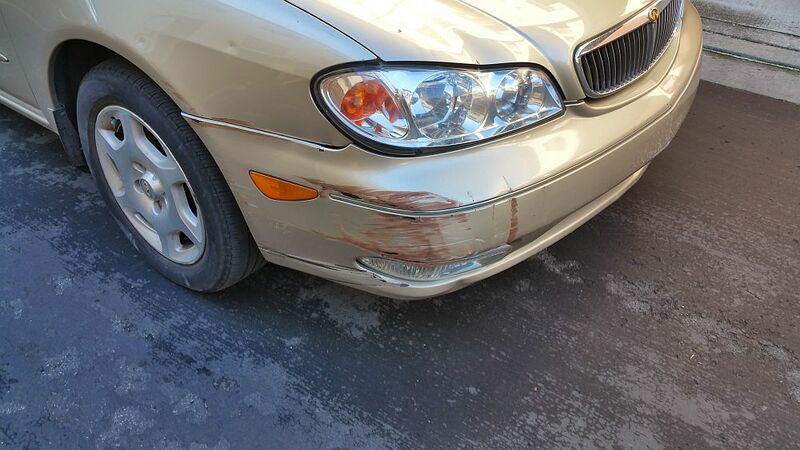 This repair was performed right outside that intimidatingly small garage opening. 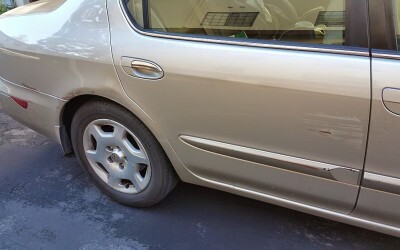 We even parked the car back in it; facing forward for easy maneuvering when it was time for them to pull out next. 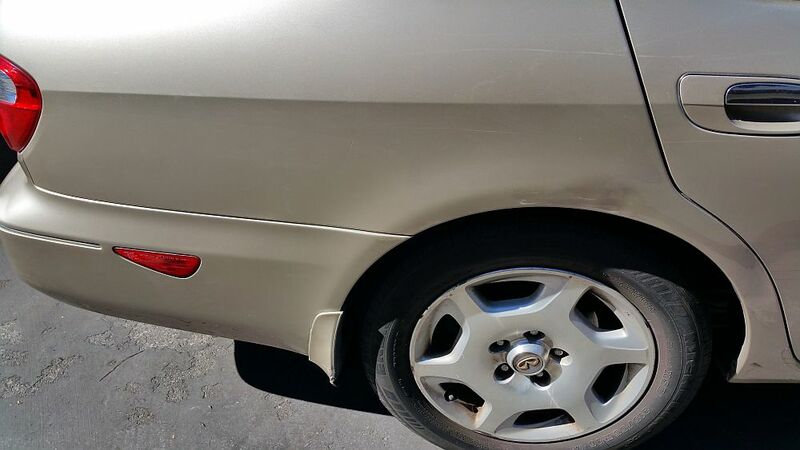 We do everything we can to keep your car looking good! 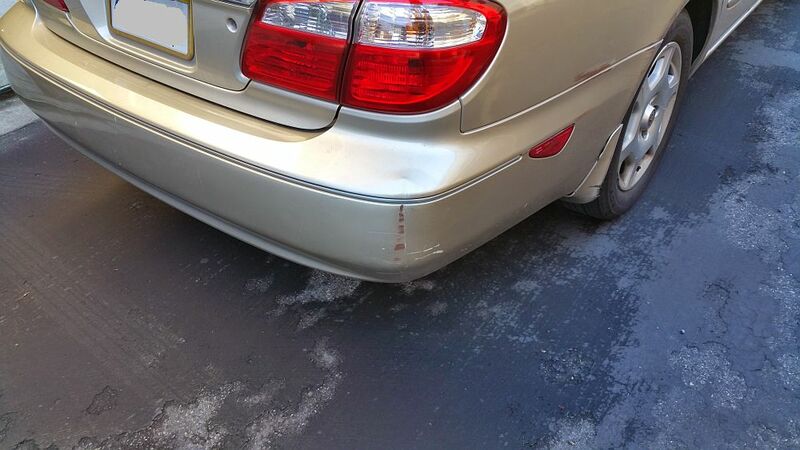 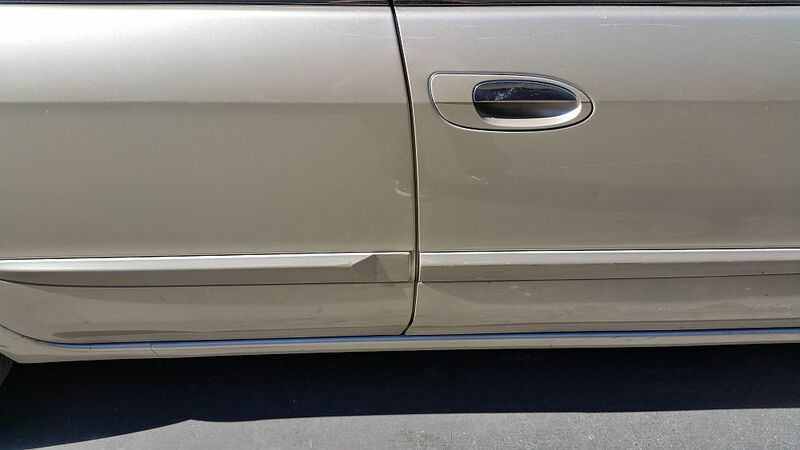 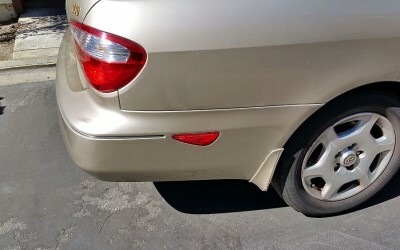 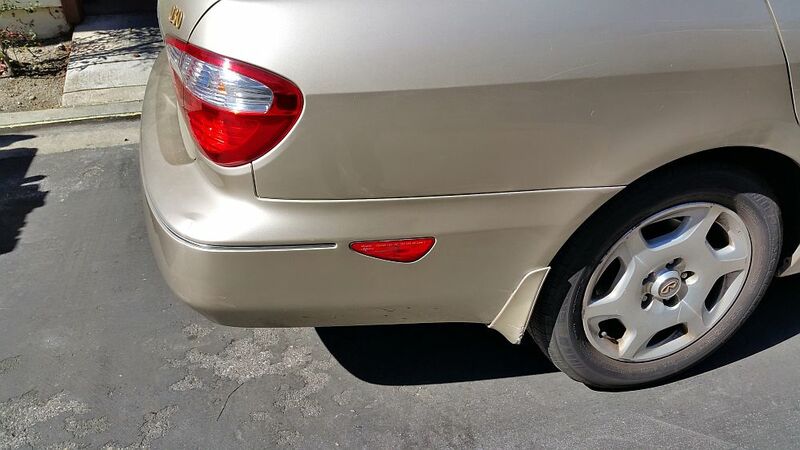 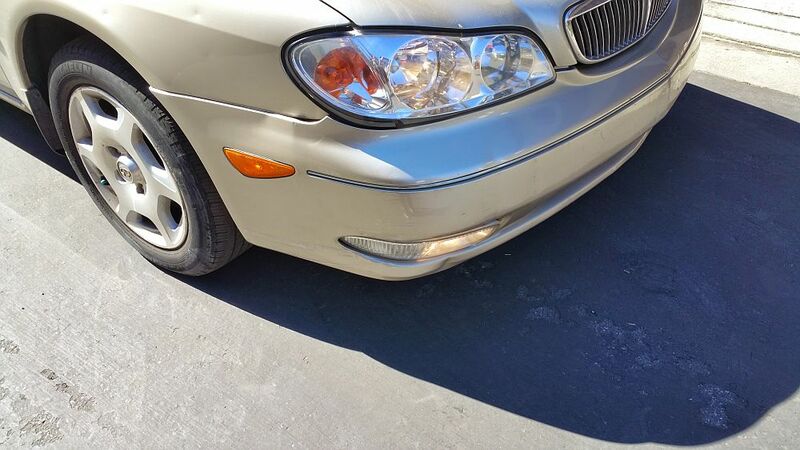 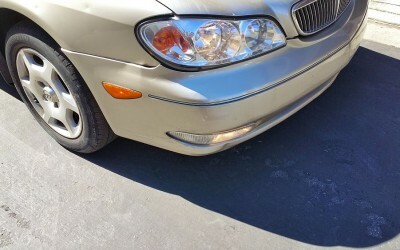 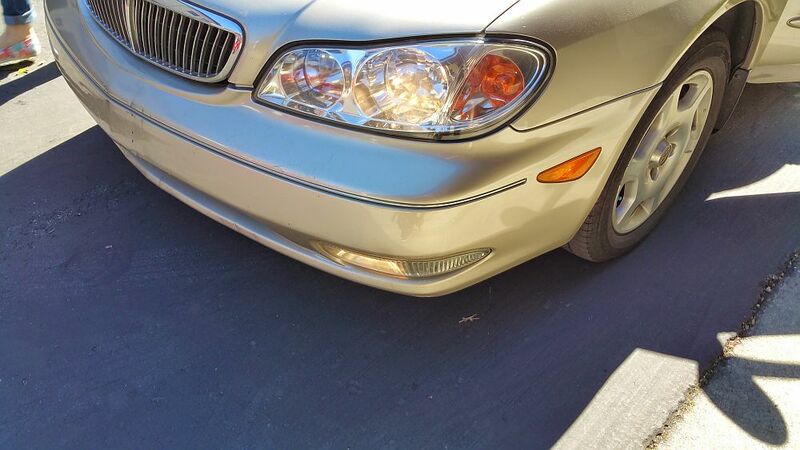 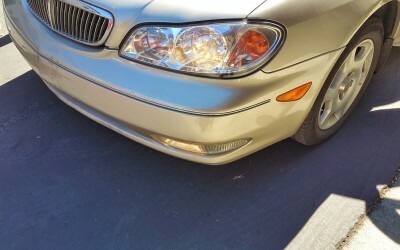 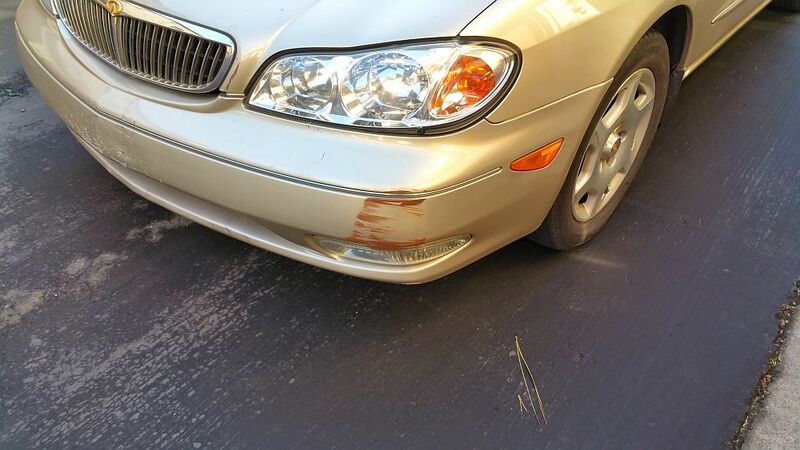 We could have even helped with the front fender and bumper alignment near the headlight but finances were very tight for this customer so that work was excluded.